Buyers are so fond of Lands End Condominiums in Perdido Key because they are that the east end of Johnson Beach Road, just before the National Seashore. 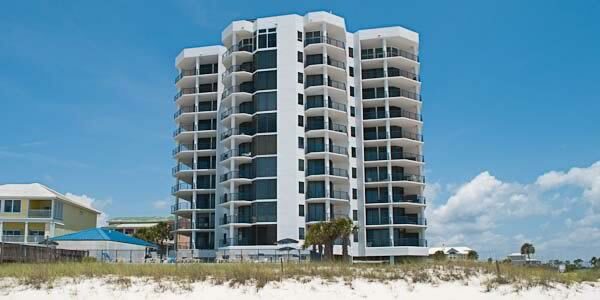 These condo towers have beachfront directly on the Gulf of Mexico and are gated to protect your privacy. This complex, built in 1985 offers spacious three bedroom units from 1,800 to 2,200 square feet in size, have prices that range from $500,000 to $700,000. 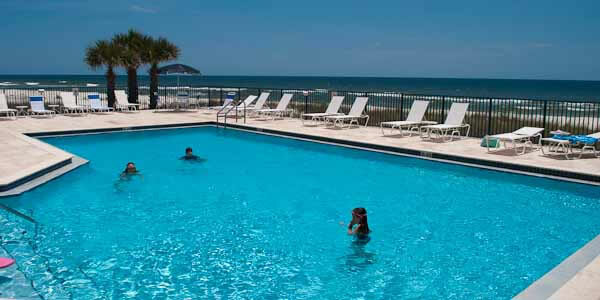 These condos have the conveniences and amenities that buyers expect in a beachfront property. Private balconies overlooking the beach or the bay, have spectacular views, as do the 9-foot ceilings with floor to ceiling windows. Breakfast nooks in the fully equipped kitchens provide a cozy start to your family's day. The gated entrance and assigned covered parking keep residents safe and secure. There is so much to do at Lands End you may never want to leave. Lounge around the giant heated pool or unwind in one of the two Jacuzzis. Keep your exercise routine with a trip to the fitness facility. Take a leisurely stroll along the waterfront boardwalk. Stir up a little competition on the sand volleyball court, the two lighted tennis courts or play shuffleboard. The clubhouse and gazebos with barbecue grills are the perfect spots for an impromptu party with the neighbors. Golfers will love Lost Key golf course just two miles away, and nature fans will appreciate that over half of the island consists of state parks, wetland, nature trails and preserves. The best seafood restaurants are just a short walk away and at beach bars like the renowned Flora-Bama Lounge and Oyster Bar, there is live music and a party going on all the time. Investors need to be aware that the Homeowners Association here has “rental restrictions” that only permit monthly rentals; short-term vacation rental usage is not allowed. Try the New Market Report: The Lands End Market Report provides information for buyers to evaluate current listings, pending sales and recent transactions in Lands End for a eighteen month period. Current owner can utilize this report to assist them in establishing a market value of their specific condominium. If you desire more information on buying one of these units as a second home, or for a long-term investment property, then let one of our Realtors show you the available condos for sale at Lands End in Perdido Key.